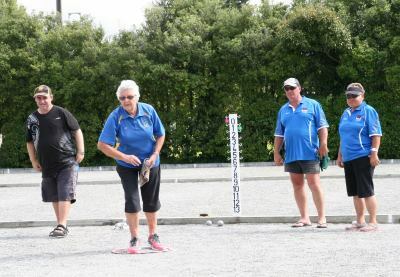 The video of PNZ National Singles Championship final between Nick Jegousse (Upper Hutt) and Georgio Vakauta (Vikings) is now on the Wellington Pétanque YouTube channel. 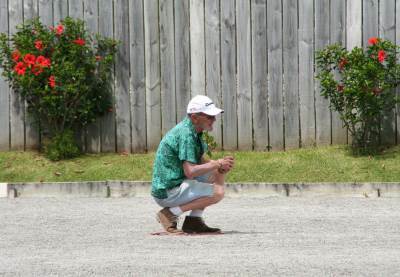 Note: The long discussion during the sixth end is due to Georgio playing the wrong boule. 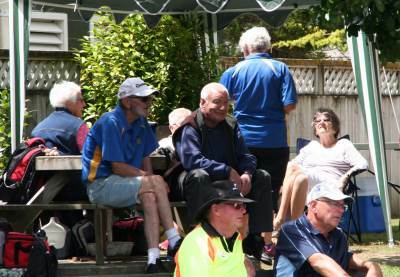 Twelve teams have entered the Khandallah Mixed Doubles to be played on Saturday, 16 January 2016. The start time is 9:00 for 9:30 am. 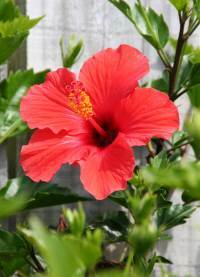 Due to bad weather the Khandallah Mixed Doubles is postponed until 30 April. 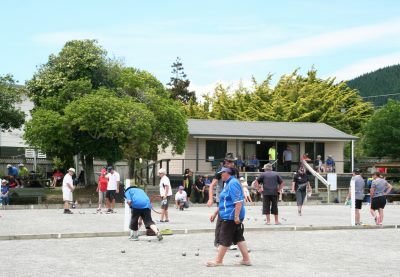 Thirty-one teams have entered the Kapiti Open Doubles to be played this weekend (23/24 January 2016). The start time is 8:30 for 9:00 am. 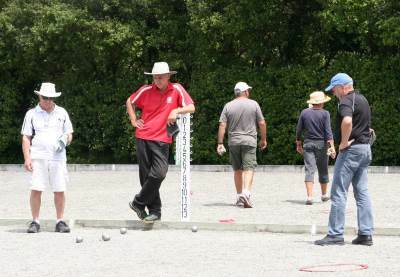 Myles Cowper and Michael Rocks won their third consecutive Kapiti Open Doubles at the weekend. In the Trophy final they beat Sharon Cannon and Pete Hamilton 13-10. 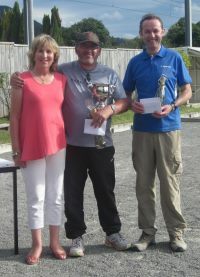 The Plate final was won by Morgan Choveaux and Nick Toyne over Denise Bavidge and Geoff Greer. Dene Futcher and Sheryl Parslow won the Bowl from Jo Maxwell and Alan Taylor. 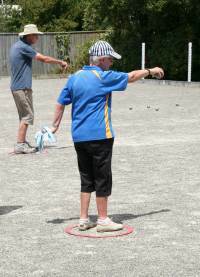 The Bowl Consolation was won by Marlene Barker and Peter Blake over Paul Anderson and Margaret Pomana. 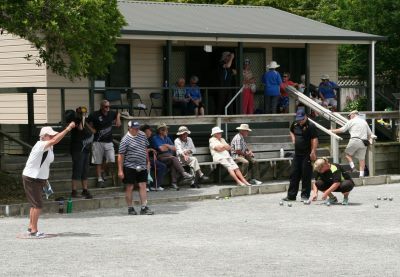 Twenty-six teams took part in the Open Triples and eighteen in the Women's Doubles at Herne Bay in Auckland. 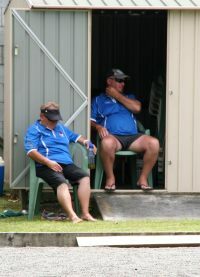 The extra prize-money certainly boosted the entry. However, the earlier registration cutoff meant that several teams missed out. Saturday featured a six round Swiss. In both the Open Triples and Women's Doubles, three teams finished with 5 wins. On Sunday, the top 16 teams in the Triples (eight in the Women's Doubles) play timed games in the barrage pools. The remaining teams played 4 Swiss rounds. 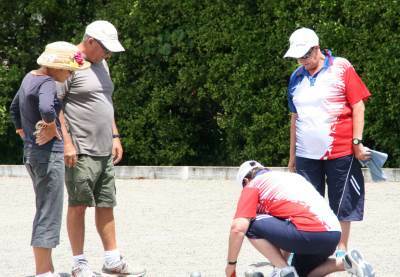 In the Open Triples final, Eric Doublet, Arnaud Ernest and Jared Handford beat Andre Noel, Tom Paulo and Georgio Vakauta 13-10. In the Women's Doubles final, Christine Strichen and Claire Wilson beat Margaret Maher and Jean Parley 13-11.